Both Hertha and Frankfurt will be hoping to get back to winning ways when they meet in Saturday's final match (kick-off 18:30CET/17:30GMT). Hertha were denied at the death against Bayern Munich in a 1-1 draw on Matchday 21, but coming so close against the champions will surely give them confidence. They were also pegged back in injury time in a 3-3 draw against Eintracht in September, but they beat the Eagles 2-0 in Berlin last year and have eight wins from 10 home matches this season. Eintracht’s normally-solid defence has been leaky in recent games, with a quarter of the 20 goals they have conceded this season coming in back-to-back defeats against Bayer Leverkusen and Ingolstadt. Only one point ahead of Hertha in fifth, the Eagles will be keen to avoid a third defeat on the spin. 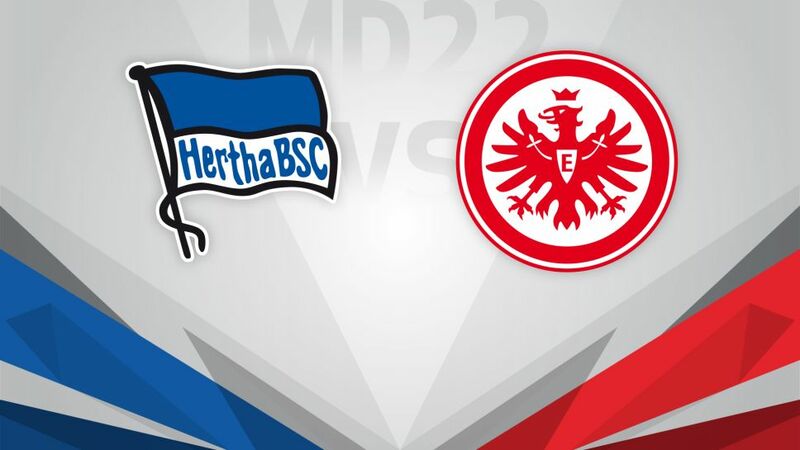 Hertha currently have the joint-best home record in the division (25 points alongside RB Leipzig), and would have the best outright but for last week’s late equaliser from Bayern.However, the Berliners have won just once in 2017 so far, taking four points from their four matches.Eintracht have conceded just 20 goals in 21 matches.Nevertheless, they have not scored in the last two games, losing both.Makoto Hasebe could make his 234th Bundesliga appearance, taking him past Yasuhiko Okudera as the Japanese player with the most top-flight appearances in Germany.Frankfurt coach Kovac had two stints playing for Hertha, between 1991 and 1996 and 2003 and 2006. In his second spell he played alongside Hertha boss Dardai.